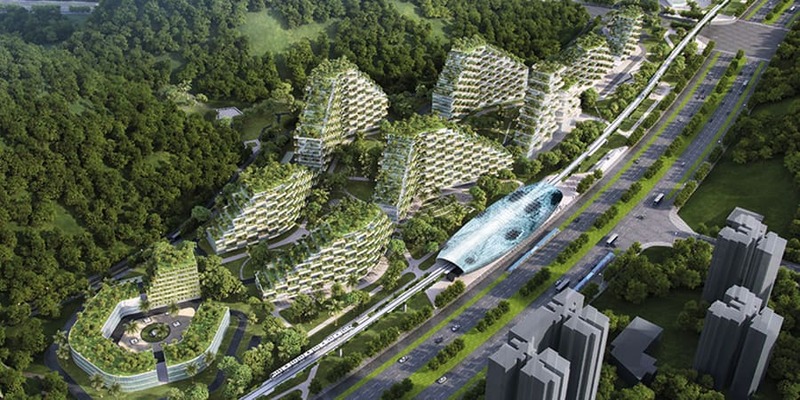 Stefano boeri’s first ‘forest city’ in china is now under construction in the city of liuzhou. conceived as a green metropolis, the project will eventually accommodate 30,000 people, with offices, houses, hotels, hospitals, and schools entirely covered with plants and trees. The revealing of the vast masterplan follows the italian architect’s ‘vertical forest’ in milan, which was completed in 2014, and the unveiling of similar projects planned for Lausanne, Switzerland, and Nanjing, china. Commissioned by liuzhou municipality urban planning, stefano boeri’s ‘forest city’ will take just three years to complete, with an opening scheduled for 2020. In addition to producing approximately 900 tons of oxygen each year, the scheme also intends to absorb almost 10,000 tons of carbon dioxide and 57 tons of pollutants annually. Occupying a 175-hectare plot along the liujiang river, the new city will be connected to liuzhou with a high speed rail line. In total, liuzhou forest city will host 40,000 trees and almost one million plants from more than 100 different species. The diffusion of vegetation over the building façades intends to improve air quality, decrease the average air temperature, and create natural noise barriers. The project will also contribute to the region’s biodiversity, generating habitats for birds, insects, and small animals. Rooftop solar panels will collect renewable power, while geothermal energy will be used to air condition the development. In the city of huainan, china, a mass of solar panels can be found floating on a mass of land that once used to be used mining. 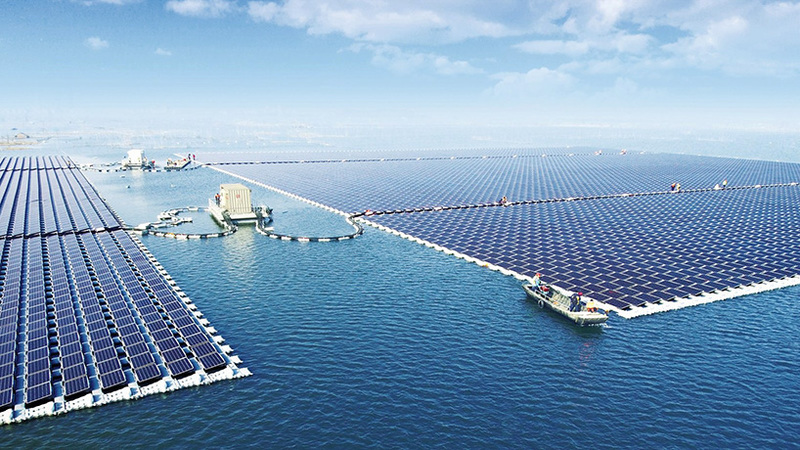 The floating solar plant is based in the south anhui province of china—an area famous for it’s coal-rich land. Yet since the area is now flooded due to rainy weather and covered with water ranging from four to ten meters deep, the chinese government have been able to optimize the land to farm a much more sustainable energy source. Sungrow—the global leading PV inverter system producer—has announced that the floating solar plant has just been connected to the grid, and can now start supplying solar energy to homes in the area. The 40-megawatt facility takes the title of the world’s largest floating solar plant, overtaking other floating farms in india and australia. 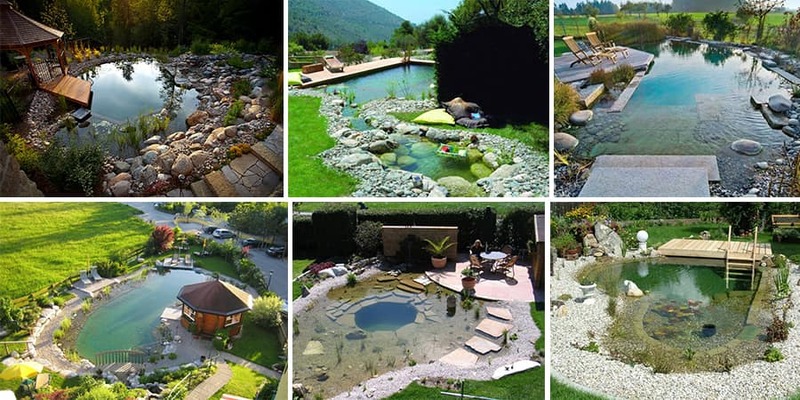 by placing the solar panels on water, the cooler air at the surface helps to minimize the risk of the panels overheating and decreasing in performance. The panels have been linked up a central inverter and combiner box, both supplied by sungrow and customized to work with floating power plants, made to be resistant to high levels of humidity and spray. The International architectural firm Aedas has revealed plans for a dragon-inspired development in china’s southern guangdong province. Located in zhuhai — a city known for its golf resorts, theme parks, and coastal islands — phase two of the ‘zhuhai hengqin headquarters complex’ is sited in close proximity to a bridge that connects mainland china to macau. Overlooking some of the largest casino resorts across the river, the vast scheme comprises two high-rise office towers, as well as a series of retail, banquet, entertainment and leisure venues. 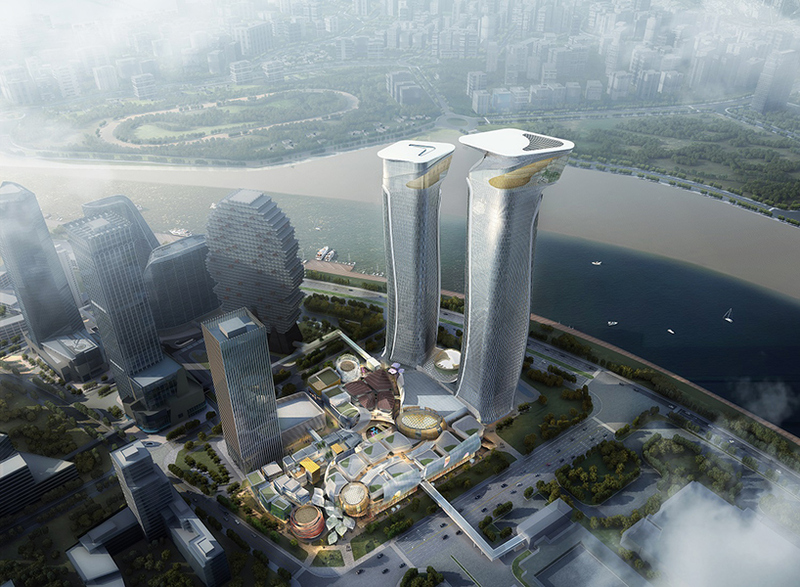 Aedas’ design for the two towers, and the small banquet building in between, references the motif of two dragons chasing a pearl — an image that symbolizes good fortune and happiness in ancient chinese mythology. Meanwhile, echoing the form of the nearby bridge, the podium resembles a blooming lotus flower with ‘leaves’ that encompass the shopping center. The masterplan is laid out to drive traffic from various retail, leisure and green nodes towards a central sunken plaza. The design also responds to zhuhai’s high annual rainfall, with the scheme’s upper levels providing shelter for people below. 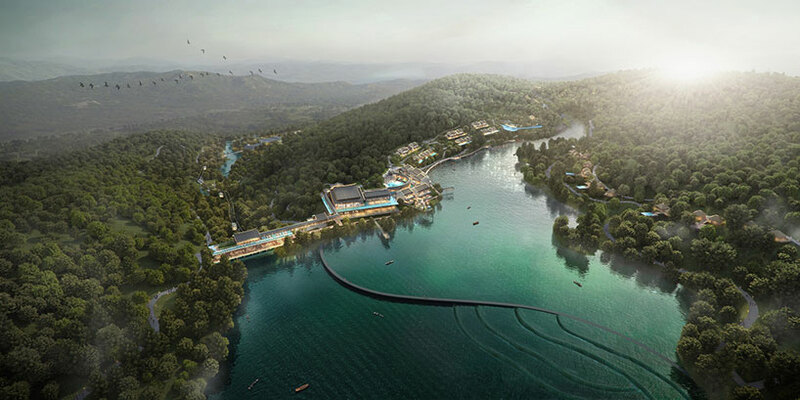 The International firm Aedas has revealed plans for the ‘zhuhai hengqin tianhu hotel development’, a luxury resort to be built in southern china. The coastal city of zhuhai is currently undergoing a major urban transformation, and will soon include a high density financial hub. The development is located on hengqin island, overlooking the niujiaokeng reservoir. 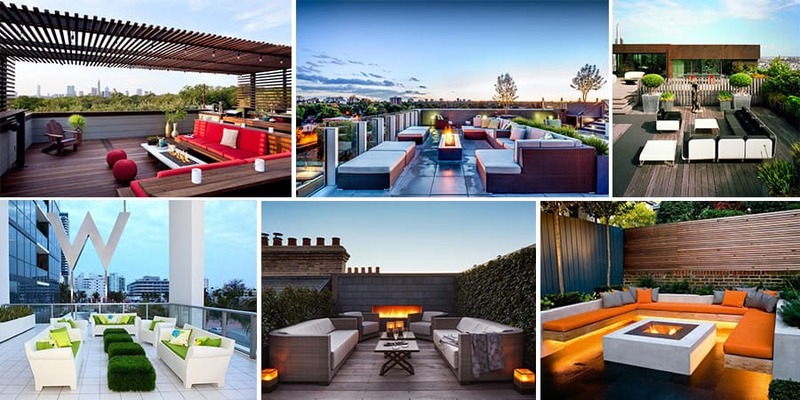 ‘This hotel development sits in the natural beauty, providing a haven of comfort and relaxation amidst the bustling city life,’ explain the architects. Aedas’ design references the region’s vernacular architecture with buildings that feature distinctively sloped roofs. 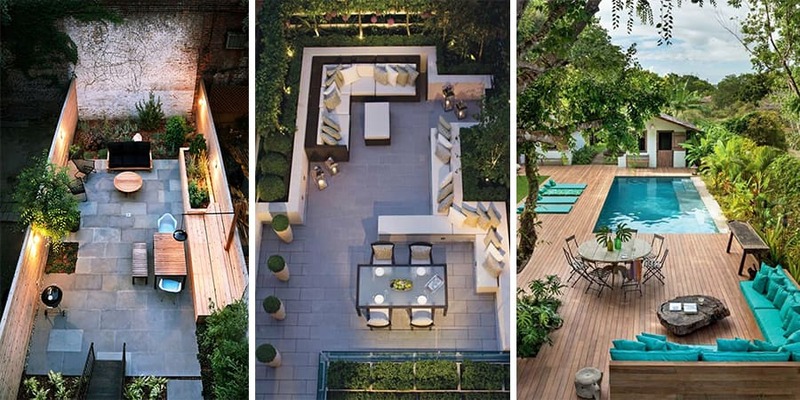 According to the design team, these canopies have been used to create ‘an exclusive and hermetic hospitality experience that roots deeply in the local culture’. This style of architecture is common in lingnan, a geographic area that encompasses land to the south of china’s nanling mountains. The design is a response to the local climate, facilitating the draining of rainwater while simultaneously protecting the structure from being damaged by tropical cyclones.‘The design expresses the beautiful, traditional gable roof and decorative ridge with a contemporary touch while paying homage to the lingnan culture,’ say the architects.